I took the day off work today as I needed to attend a private appointment this morning, so I figured I would use the rest of the day to progress with the Mendel. 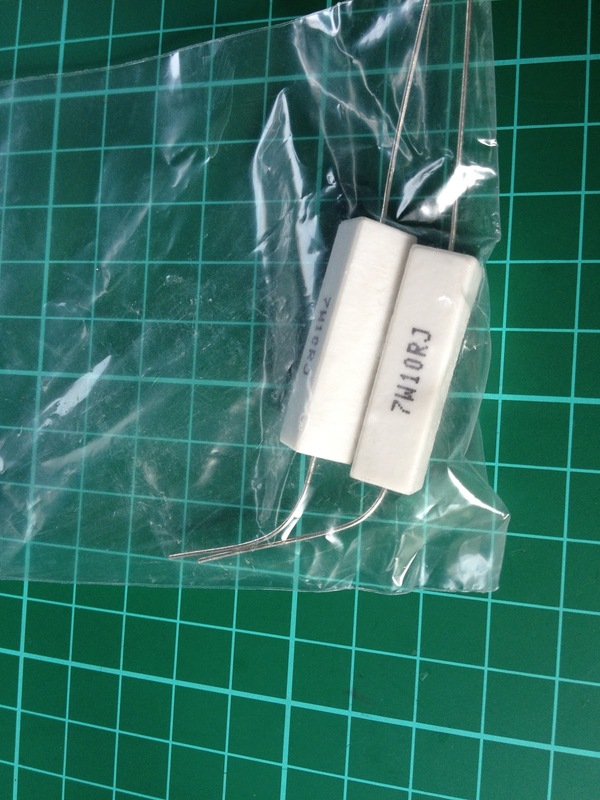 Sandbar resistors to reverse the bodge on the power supply. 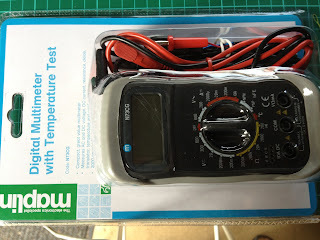 I picked up a new multimeter which includes a temperature sensor. (I figured this might be handy and they were on special). 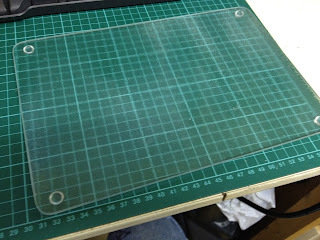 For the print bed I managed to locate a heat resistant glass cutting board which is 189mm x 288mm. As the bed is only really constrained in the one direction I figured this was perfect, so I bought a spare. 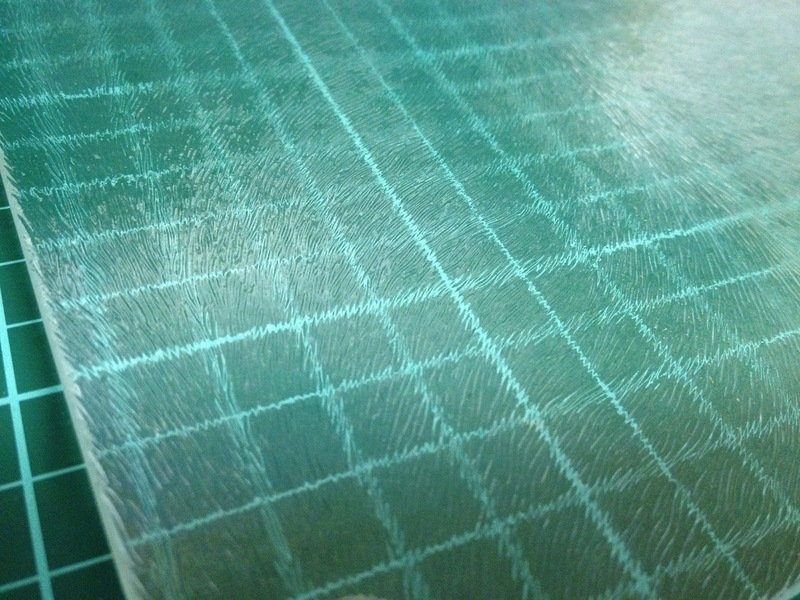 The to side has a texture, but the bottom is smooth, so I'll simply use it upside down (See pictures). 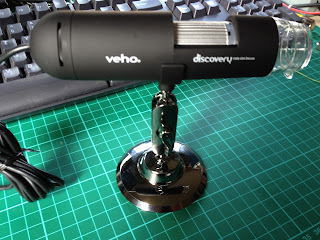 The Veho USB microscope I ordered also arrived. 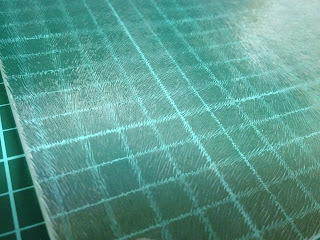 (I'll play with that later). I spent most of the afternoon turning the old PC power supply I am using into a universal 12V power supply. 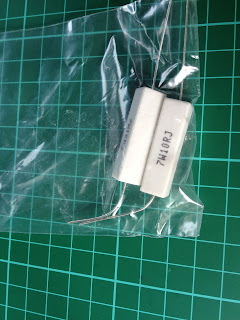 This involved fitting a switch salvaged off an old plan printer, some connecting pins, and a sandbar resistor to act as a latching load. 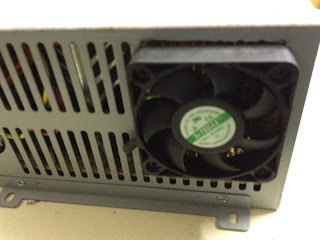 The article I based this on mentioned cable tying the resistor to the case as a heat sink, but as I have a number of old CPU heatsinks and fans lying around I fitted that instead. Probably overkill, but better safe than sorry. 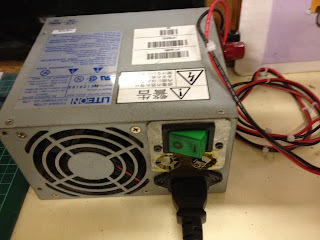 The only mistake I made is that the fan is noisy and I didn't test it before soldering it in. Doh! !